Referring to the Ukraine crisis, Nick Clegg accused Vladimir Putin for applying "yesterday's divisions and arguments to today's problems". 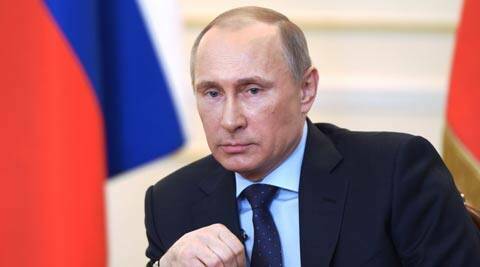 Russian President Vladimir Putin has seemingly been in “deep freeze” since the Cold War and is applying its outdated KGB mentality in Ukraine, Britain’s deputy prime minister said on Saturday. Speaking to The Guardian newspaper, Nick Clegg said Putin was applying “yesterday’s divisions and arguments to today’s problems”. Clegg acknowledged there was a “pronounced Russian imprint” in the Crimean peninsula, which meant it could not be viewed the same way as other parts of Ukraine. The British deputy premier urged Putin to engage in a “civilised discussion” with the new government in Kiev. “Putin’s reaction is very revealing. It’s as if he’s been in a sort of deep freeze since the Cold War and hasn’t moved with the times,” Clegg said. Former KGB spy Putin headed its successor, the Federal Security Service, shortly before he first became president in 2000. “He gives every appearance of applying a KGB mentality rooted in the Cold War to new realities in 21st-century Europe,” Clegg said. both in the Soviet Union. “Crimea already has a semi-autonomous status within Ukraine and clearly has a different history to other parts of Ukraine and has a very pronounced Russian imprint on it, not least because of the presence of the Russian Black Sea naval operation,” which is based there, said Clegg. “So it is already in a different category and I don’t think anyone wants to deny that.